Theatre Credits whilst Training: Dolores in The Wild Party; Gentleman of Japan in The Hot Mikado (Steven Paling); Ensemble in A Love Letter to Dan (Ivor Novello). Theatre Credits Prior to Training: George (Original Cast) Chitty Chitty Bang Bang (London Palladium); Young Astaire in Tribute to Fred Astaire (London Palladium); Young Scrooge in A Christmas Carol (Royal Festival Hall); David in Rags (Guildhall); Nipper/ Workhouse Boy in Oliver! (London Palladium). 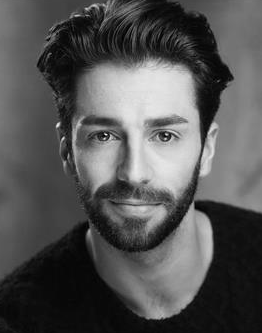 TV and Film Credits Include: Ed in The Last Man (Alex Murray); Matt in Eastenders (BBC); Robbie Smart in Microsoap (BBC/ Disney); John in Ivor the Invisible (Raymond Briggs); Harry’s Son in Harry Enfield (Tiger Aspect); David Keen in The Bill (ITV).